Acupuncture and Chinese medicine can help with many disorders during pregnancy and childbirth but mothers need all the support they can during this time. That is why Kun Lun TCM can supply you with this fantastic range of natal hypnotherapy CDs. The CDs help suppliment the treatments that Kun Lun TCM supply and can be listened to at home between treatments or even during treatment if you wish. The CDs help you to learn breathing and relaxation techniques that will help you to experience a more relaxed and enjoyable pregnancy and birth. These CDs have won several awards and there is good evidence to support their use during pregnancy. Kun Lun TCM are confident you will enjoy as much as their other users have. Natal Hypnotherapy helps parents become more informed, relaxed, positive and prepared from conception to parenthood. The award winning CDs are safe, effective and easy to use. Teaching breathing, relaxation, visualisation and self hypnosis techniques. The CDs enable you to develop effective skills, in your own home, in your own time which help you to overcome fear, relax, increase confidence, maximise your bodies natural potential and feel more in control. Birth today is often perceived as something to be scared of and yet it is that fear which can make birth so much more painful. By relaxed, confident and skilled at effective breathing and relaxation techniques, you will be able to go into labour feeling far more positive and prepared. This alone helps your body birth more effectively, reducing the tension and adrenaline, which cause much of the pain in childbirth. The Natal Hypnotherapy Programme has been specially designed to give you the maximum benefit, practice and experience of using these powerful self hypnosis techniques to ensure you have a truly wonderful pregnancy and birth experience. It is a four step programme which builds your skills, abilities and confidence in your body. The effect of the individual CDs is multiplied many times when they are used together, as each CD in the range has been designed to have an cumulative affect. The award winning Natal Hypnotherapy Programme is an eary to use 4 step programme, which comes with a comprehensive birth preparation guide. All CDs can be used on their own and are completely self explanatory. However, you will get the best results by using the 4 step programme from as early in your pregnancy as possible. The Natal Hypnotherapy Pregnancy Relaxation CD provides mums with a gentle way to develop their own relaxation skills to learn effective breathing techniques and to become more focussed on having a positive healthy pregnancy. The Natal Hypnotherapy Birth Preparation CD will enhance your pregnancy and birth experience, by helping you to develop and use your natural skills and inner resources. The CD uses a combination deep relaxation and guided visualization to help you overcome fears, create a state of calm and relaxation, maintain your health, increase bonding with your baby and maximize your bodies potential to give birth naturally. This relaxing music (the same music used in the background of the Natal Hypnotherapy CDs) is a wonderful edition to the Natal Hypnotherapy range. Many mothers choose to use this music when they go into labour as it is a subconscious trigger to relax and recall all the positive suggestions they take in while listening to the Natal Hypnotherapy CDs. Triggers the deep state of relaxation in birth you practiced during your pregnancy while listening to the Natal Hypnotherapy CDs. This effective Natal Hypnotherapy CD combines deep relaxation with guided visualisation to promote and encourage a fast recovery, confidence and calmness during the postnatal period. It is a time of bonding, resting and adapting to the immense changes to both you and your babies life. Self Hypnosis has been clinical proven to double the chances of successful conception with IVF. Whether you are planning IVF or looking to conceive naturally, the Natal Hypnotherapy ‘Prepare to Conceive’ CD will help you be more relaxaed, let go of unwanted fears, tune into your bodies cycles and really prepare emotionally for conceiving a baby. IVF can be a very difficult, stressful and emotional process. For many women the transition from conceiving a baby by using the bodies natural approach to a medical and clinical procedure can have additional concerns. Women who are more relaxed during IVF have been shown to have a higher chance of success and are better able to deal with all the procedures involved. A recent clinical trial in Israel showed that women who used Hypnosis during IVF had double the chance of success. Natal hypnotherapy has bought out the first self hypnosis CD dedicated to helping women effective through IVF. This effective CD helps with relaxation and guided visualisation to help you emotionally, mentally and physically prepare your body for successful IVF. The CD consists of soft back ground music with a soothing voice taking you into deep relaxation followed by positive suggestions and encouraging visualisation. The CD has 3 tracks. The first is an introduction and only need be listened to once. The second is to be listened to every day from the beginning of your treatment until the replacement of embryos. This track focuses on preparing you for the clinical procedures, helping with the changes taking place in your body and helping you keep positive and relaxed. Once the embryos have been replaced you can start listening to the third track, which is focused on helping you stay relaxed, focused on other things (not just on the IVF) and helps with visualisations to encourage your body to accept and develop the embryos. Sleep better, have more energy and feel more positive. The overcome morning sickness CD helps you cope more effectively by taking you to a deeply relaxed state in which you tune into the part of your mind which controls and manages feelings of well being, calmness and comfortable digestion. In recent research trials carried out in conjunction with Pregnancy and Birth Magazine 10 out of 10 mothers would recommend the CD to a friend and 9 out 0f 10 mothers felt significant benefit from using the CD! Everyone is able to create physical changes within themselves simply by your thought patterns e.g. what happens when you are scared (tense muscles & increase heart rate)? In this way self hypnosis can effectively change your physical response to overcome morning sickness. To find out how other mums have benefited from using this CD read the More info section below. At the end of the CD there is a simple technique, which can be used at any time to instantly control and reduce feelings of nausea. Mothers who have listened to the CD have reported a definite, often dramatic reduction of nausea and vomiting as well as feeling much more relaxed, being calmer, having more energy generally and having better quality sleep. This highly effective self hypnosis CD helps you unwind and de-stress. Simply lying back and listening to the CD will help your mind and body let go and relax. The CD consists of soothing background music with the calming voice of clinical hypnotherapist Maggie Howell taking you into guided relaxation. Using deep breathing and visualisation, you are taken on a gentle journey to calm your mind and relax your body. Imagine coming home from a hard day, knowing that listening to your CD for half an hour will take you into that blissful, quiet state when you feel so comfortable, calm and relaxed. All the stress from your day seems to melt away leaving you refreshed, calm and confident. Your choice to give birth by caesarean may have been influenced by any number of decisions. No matter which reasons have led you to make this informed choice, you know, that even though this may not have been what you wanted or expected, this is still an act of giving birth and as such will still a be beautiful and important moment. By choosing the Natal Hypnotherapy range you have made another choice to prepare your self emotionally, physically and mentally to give birth by caesarean. By preparing effectively, it will help you have an easier, more relaxed and comfortable caesarean birth and a more rapid recovery. Simply by listening to this CD you giving yourself permission to relax and to feel excited about the forthcoming birth, allowing yourself to expect a positive, good birth experience. The CD takes you through a deep relaxation and then on to a guided visualisation through giving birth by caesarean. It focuses on increasing your confidence, courage, and sense of control, ability to communicate effectively and to make decisions in a clear, calm way. The CD also provides the same relaxation and pain management techniques used in the birth preparation CD, helping you to manage sensations after the caesarean. The VBAC Preparation is a 2 CD set to help mums prepare for a vaginal birth after they have had a caesarean birth. VBAC I, the first CD is a clearing, releasing and relaxing CD to help you overcome any negative emotions and issues relating to your past caesarean experience. VBAC II , this second CD focuses on preparing for the forthcoming birth and takes you on a guided visualisation through giving birth vaginally. It focuses on increasing your confidence, courage, sense of control, ability to communicate effectively and to make decisions in a clear, calm way. 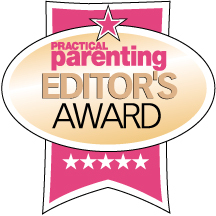 This CD is the VBAC version of the Birth Preparation cd which won the Practical Parenting “Pregnancy Product of the Year”. 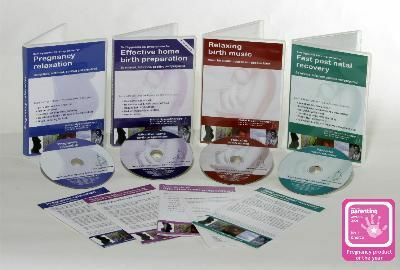 The CD also provides the same relaxation and pain management techniques used in the birth preparation CD, helping you to manage the sensations of birth. To order this CD click <here> or to find out more information see below. If you are a lucky mum -to-be of more than one baby, you may sometimes feel a bit left out as most books and information refer to "mother and baby" as opposed to mother and babies! As a result, and based on feedback from mothers who have used our regular CDs, we have re made them specifically for mums who have more than one baby. We have 3 cds specially designed for mums with TWINS who want to give birth Vaginally. If you are interested in purchasing or finding out more about Natal Hypnotherapy CDs, please contact us either by email or phone on 07813 184180.